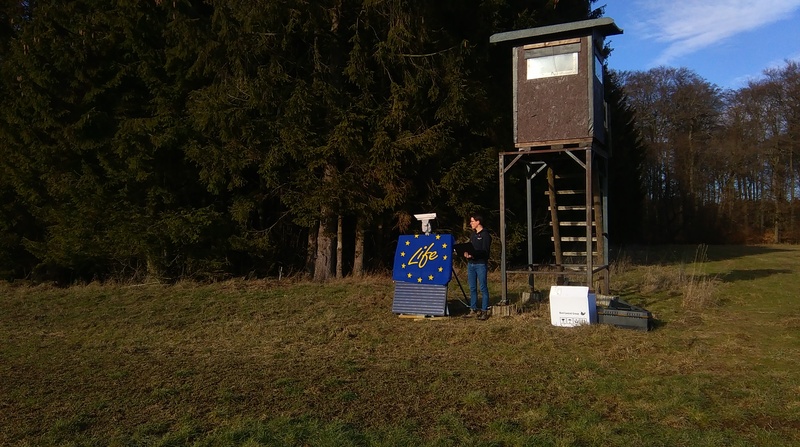 Employees of Bird Control Group including David van der Wal, Field Engineer and Joep Everaers, Project Manager of EU Life Laser Fence from Bird Control Group made a trip to the test field of the project in Wölferlingen, Germany on February 14. 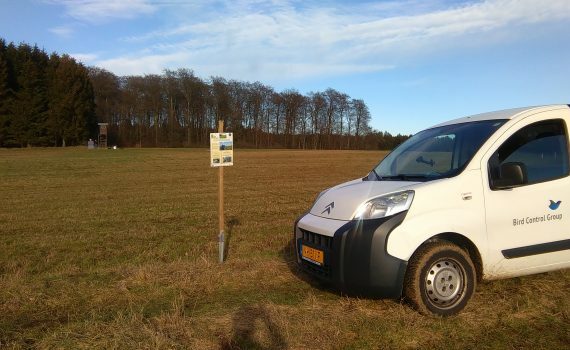 David and Joep visited the owner of the field and installed there one Life Laser Fence prototype with a few cameras attached to it. 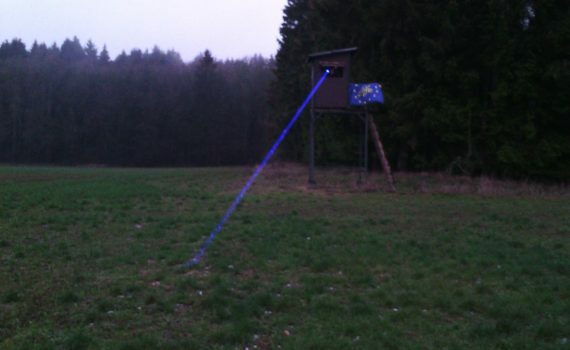 The cameras are meant to monitor the effect of the laser on wild boars. The cameras are set up in the way that they take a picture of the field every minute. It is planned that in a few weeks the project team of Bird Control Group will be able to gather reliable data from the camera monitoring based on activities and behavior of wild boars. A lot of facilities in the world experience animal nuisance. A lot of problems with animals can cause loss of resources, cause hygiene or safety issues or can damage facilities. Bird Control Group nowadays networks not only with agriculturists, but also with facility managers. Facilities that for example store grain or other food, can possibly attract a lot of animals. 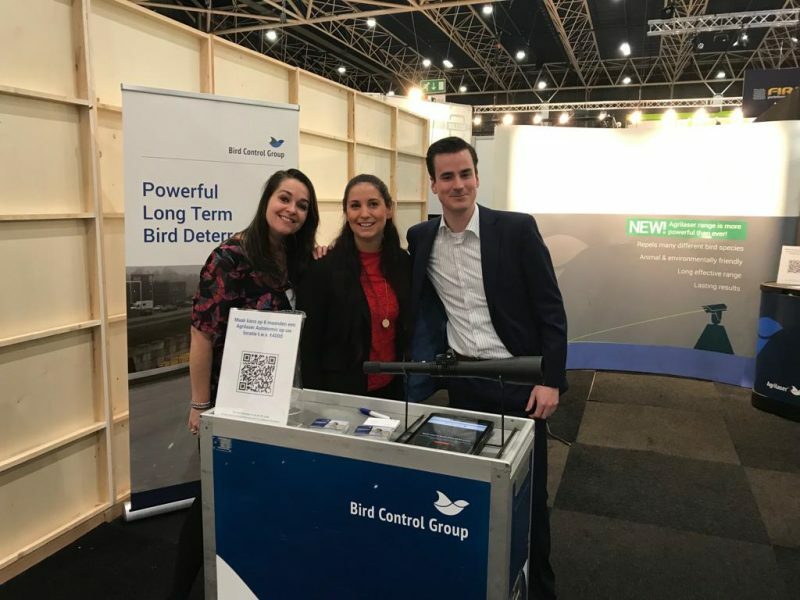 Joep Everaers, Project manager at BCG for the LIFE Laser Fence project together with Sales and Customer support colleagues, Corné Sweep, Karlijn Eelvelt and Lisette van der Knaap, participated in the event dedicated to the facility managers – Vakbeurs Facilitair in Utrecht. The event is organized to help facility managers to network, learn about new facility products and find solutions to the problems that they might experience at the site for example pest nuisance. Bird Control Group’s team spoke with facility managers and pest controllers that have animal issues on their rooftops, parking places and food storages. These facility managers experienced nuisance from all kinds of pest species such as rats, mice and birds. 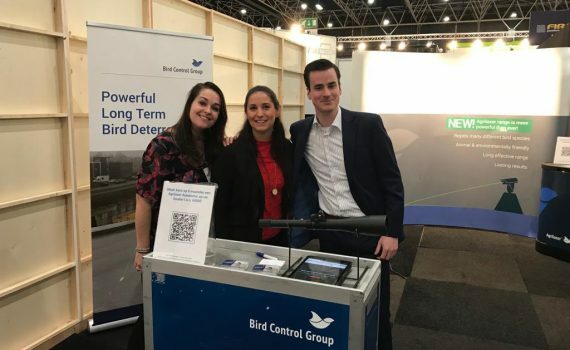 When the team of Bird Control Group presented the visitors a solution to repel birds and possibly pest animals in the future with the laser bird repellent, they were very enthusiastic to have such system themselves. 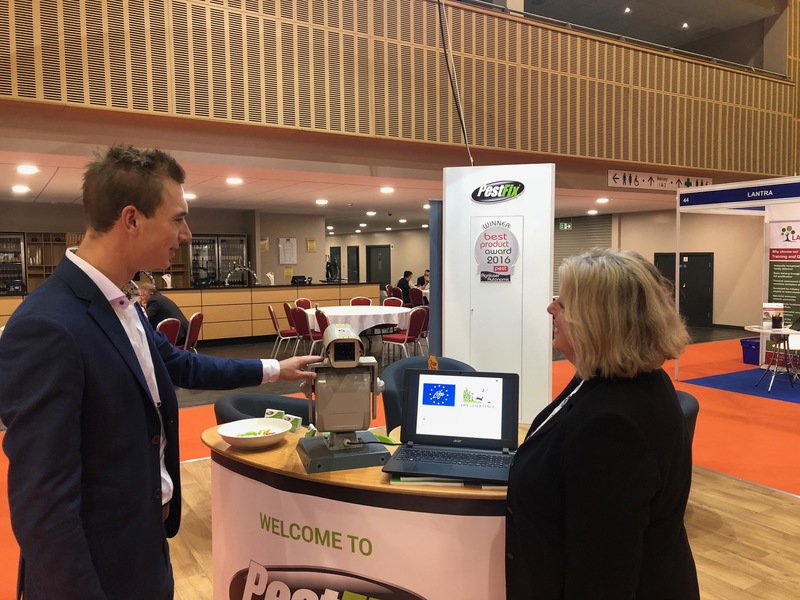 Some other pest control companies present at the show were not aware of the LIFE Laser Fence project and are waiting to hear more about innovative products to prevent animals from intruding their facilities. 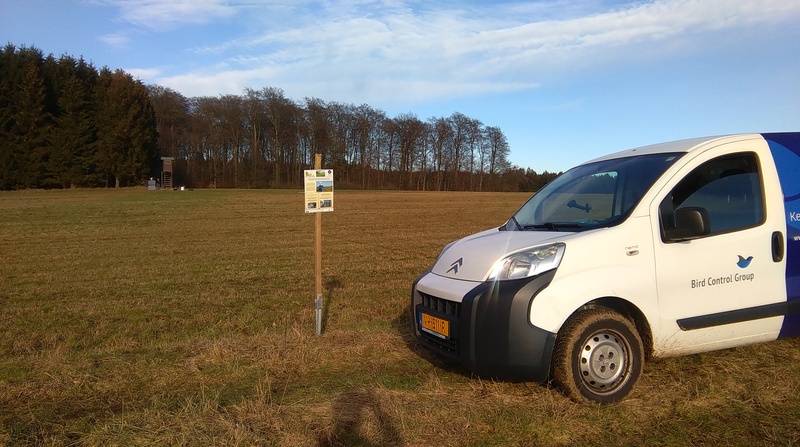 Employees from Bird Control Group, Joep Everaers, Project manager for BCG in the LIFE Laser Fence project, and Loïc Jacquemin, Certified Installer, went to Wölferlingen to do an assessment of the location for the replication trials. The new location is similar to the previous one where the green automatic laser LIFE prototype is tested. Both locations are similar in vegetation, and amount and types of animals that inhabit in the area. The land owner of the new location is willing to help with assisting the Bird Control Group team where it is needed during the project. 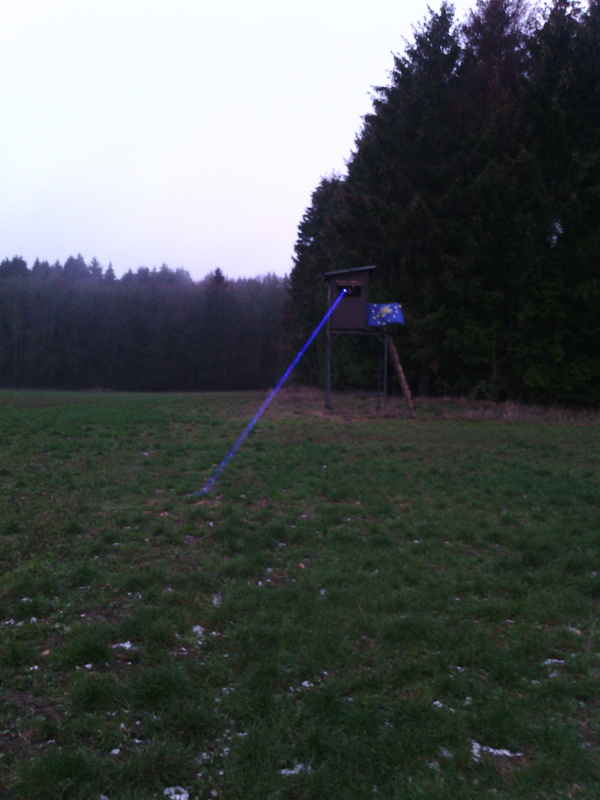 Besides visiting the new trial location, Joep and Loïc tested different laser colors on wildlife during the night. They stayed around the location and waited for wildlife to show themselves. 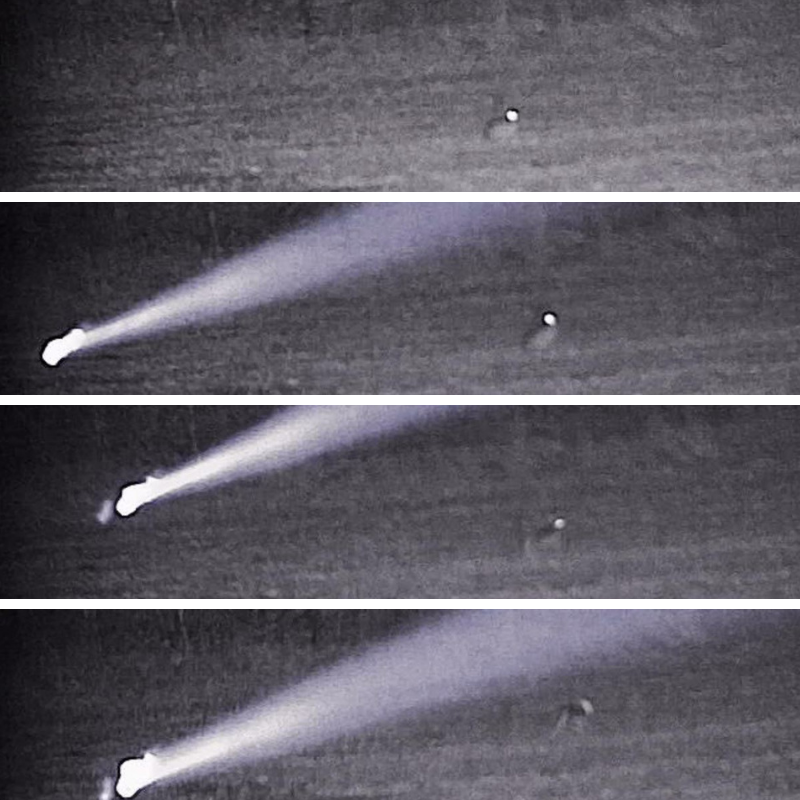 Whenever an animal showed up, at that moment they tried to force a reaction to the laser from the animal and record it with night vision equipment. The goal was to find out the reaction of wild animals on different laser colours. The final results will be shared later once all footage is analysed. 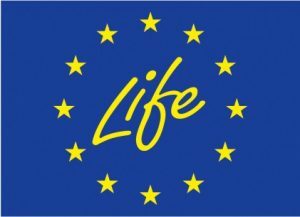 At the same time EU Life Laser Fence researchers are working to confirm their findings from trials and experiments in 2018. 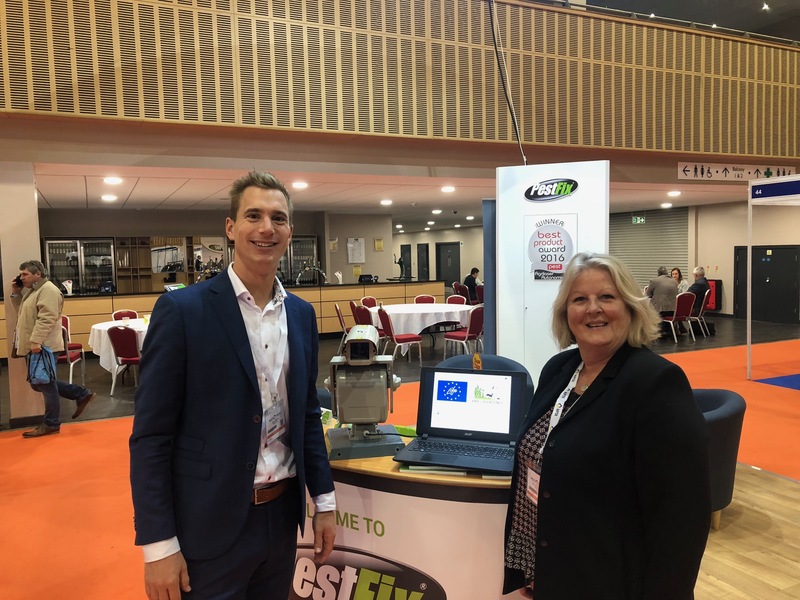 Our Area Sales Manager, Gijs Groen participated in PestTech, The UK’s Premier Pest Control Exhibition on the 7th of November. This exhibition is for the pest controllers. 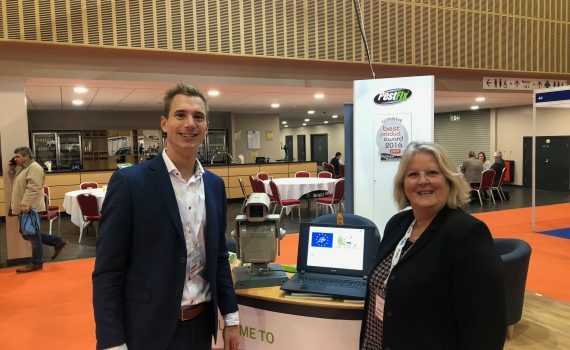 Gijs was sharing a stand with our British partner PestFix. 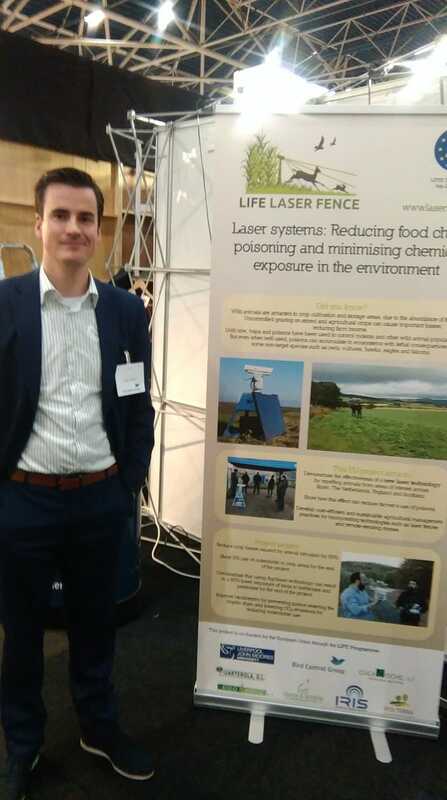 Gijs spoke with many pest controllers about the EU Life Laser Fence project and the pest controllers were very interested in the trials we were doing. They were also highly enthusiastic about the idea itself to repel pests animals since they didn’t find any effective and long-lasting solution yet. Gijs also demonstrated our automated laser bird repellent system and how it works.